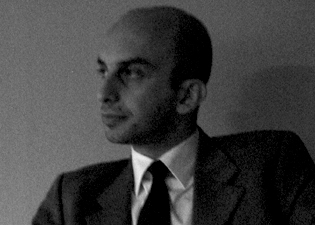 ammar eloueini received a dplg with honors from paris (1994) and a msaad from columbia university (1996). acknowledged with the albums des jeunes architectes by the french ministry of culture (2002), he was also awarded the villa medicis hors les murs (1999). his designs have been featured in solo and group exhibits and published worldwide. currently ammar eloueini chairs the digital media program and teaches design studio at the university of illinois in chicago, as well as collaborating with archeworks design laboratory. as a registered architect in france, ammar eloueini maintains his practice, digit-all studio (est.1997), in paris and chicago.